For those that wish to fly into 88NV and camp next to your plane but have not done so before, we want to provide some tips to help you with your process. The official Burning Man Survival Guide has all the mandatory information on what to bring, and how to survive and thrive on the playa. This is required reading for all first-timers. Winds have been clocked at over 80 mph at Burning Man and securing your aircraft is incredibly important. The playa surface is firm and requires anchors that will penetrate the lake bed surface. At a minimum, rebar (about 18” long) and/or aircraft tie-downs for both wings and the tail. Rebar should be capped with tennis balls or other safety covering (to avoid tire punctures or tripping hazard) and lit for safety. Bring a small sledge hammer to hammer these in promptly after arrival. Recommended sources other than rebar…. Removing rebar from the playa requires locking pliers (vice grips). A four-season tent that doesn’t have large mesh panels is a good idea, but beyond that, don’t spend too much time worrying about keeping your tent air-tight. Everything will get covered in dust. More importantly, bring a tent that can withstand the winds! Rebar/heavy stakes for the tent is mandatory. Make sure anything sharp that is sticking out of the ground is lit and capped with tennis balls or other safety covering. Some type of shade for your tent makes life much more comfortable. There are many structures, ideas, and ways to do this. Just search around online. Here is a place to start. You may also be able to use your airplane to help support or provide shade. Ground covers under the tent help minimize dust getting kicked up when you move around. Sleep on stacked backpacking mats to protect against hard cold playa floor. Many pilots sleep on an air mattress, and if you have the capacity to carry something heavier, a cot is luxury. Keep in mind nightime temperatures reach 30°F or below. Clear bins with latching lids make contents visible without opening. If you have a really small plane, it might be more space-efficient to use nylon bags or stuff sacks. Writing bin weights on tape affixed to bins so load weight and balance easier and shows an FAA inspector performing a ramp check that you know what’s up. Most people leave their tow bars at home as they take up space. You can usually round up people to help push the plane. Pack a spare plane key and keep it somewhere safe. Not all aircraft can haul heavy loads, especially at a high hot place like Black Rock Desert. Flying to Burning Man is fun, but it’s not to die for. There is almost always someone willing to bring your heavy items such as water. Severe turbulence at max weight is no fun. Make sure you and all your passengers have your ticket or will call confirmation available immediately after landing. You will be met by our volunteer staff after shutdown to confirm you are an event participant. Tie-down equipment should be packed last. As soon as you pull up to your parking spot, your first task should be securing the plane. Ensure your tie-down anchors (i.e. rebar), ropes/straps, and mini sledge hammer are readily available and not buried under all you boxes. You are expected to check in to the arrival gate prior to unloading all your gear. Blue painters tape is commonly used to seal the aircraft from dust getting in for those not wishing to fly during the event. Don’t bring canopy covers, their motion in the wind will cause them to rub scuffs into your paint and windows. Interior sun reflectors are best for the daytime heat. Vinegar will be needed to clean the dust off the windshields. Plexus or similar cleaner will end up smearing the dust around. When washing the plane upon returning home, use a 1/10 vinegar/water mixture to prevent corrosion from the alkaline playa dust on the aircraft metal. Replacing your air filter after the event is a good idea. Plan enough fuel to arrive Burning Man with sufficient reserves to reach an alternate airport, which may exceed the VFR 30 minute requirement in your airplane. Nearest airports with fuel are KLOL (51 NM) and KWMC (65 NM). 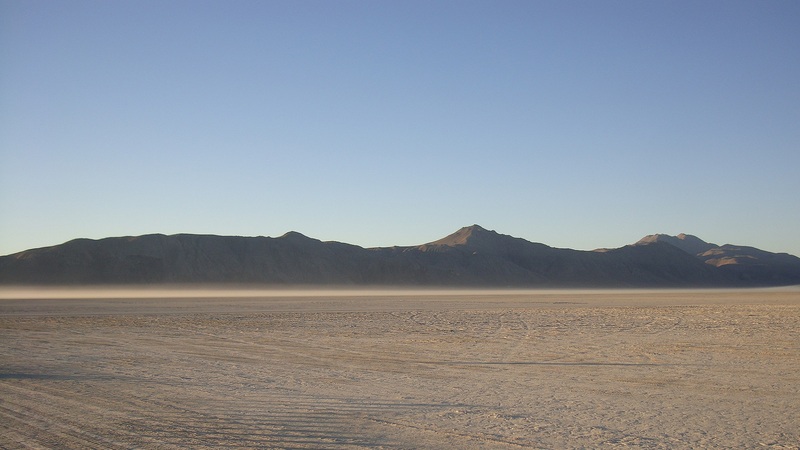 Fuel can be procured independently and provided on the playa for the event but must be purchased in advance. On-playa fuel sales are not supported. Check the airport operations blog link below for information about the fuel purchase. Hoards of community participants come to the airport all hours of the day to see if they are lucky enough to get a ride in an airplane around the city. A lot of effort by the airport staff is made to accomodate and assist with pilots wishing to gift rides. Keep in mind this is a gifting economy. No rides may be offered in exchange of any goods or services. Pilots must undergo a safety briefing in order to gift rides. All passengers must be checked in and out of the gate and escorted by pilots while outside the fence. There are several risks of gifting rides, which has caused some accidents in the past. This includes the excitement by pilot and passengers alike that can cause distractions. Multiple flights can cause complacency, dehydration, and carelessness. Please follow checklists, don’t rush, and stay hydrated. Answers to additional questions and discussions can be done through the airport community’s public email group. To subscribe, send a blank email to aviators-list+subscribe@burningman.org. Official 88NV announcements can be viewed through the 88NV Airport Blog or can be received by email by sending a blank email to airport-announce+subscribe@burningman.org.